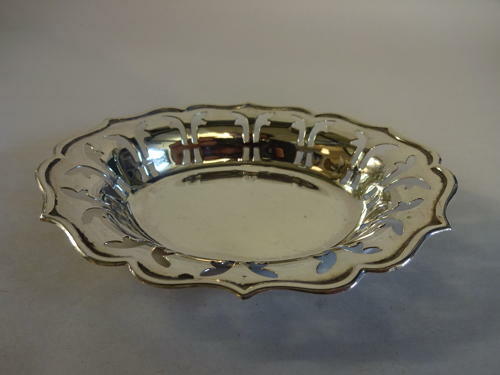 Interesting Pierced Solid Silver Dish. Hallmarked Birmingham 1971 by maker E.A.W. Measures 11cms long, 8.5cms wide by 1.5cms high.